February 10, 2012 - by Arche - 8 Comments. Recently, an unexpected twist has occurred in the highly controversial impeachment trial of Chief Justice Renato Corona; the Senate has allowed the prosecutionâ€™s issuance of subpoenas on bank executives to testify in court regarding the respondentâ€™s bank records. This surge of excessive liberality on the Senateâ€™s behalf seemingly fuelled the dying momentum of the prosecution, which probably made the gullible Yellow masses jump up and down with joy. It seemed justice just might be served after all; at least on their own distorted perspective. But then, at what cost? 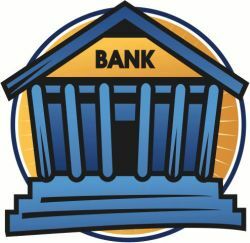 In the advent of this surprising turn of events, the notion of bank runs has been brought to light, in retaliation to the prosecutionâ€™s stratagem. The president of Philippine Savings Bank (PS Bank), Mr. Pascual Garcia III, is even reluctant in terms of publicly disclosing Coronaâ€™s bank records, despite the ruling of the Senate and the pressure from the prosecution. One might ask; why is PS Bank uneasy in cooperating with the trial proceedings, when its ultimate intention is to see that â€œjustice is servedâ€? What does bank runs even have to do with Coronaâ€™s acquittal or conviction? Could this just be a red herring to demonize the intentions of the prosecution? The funny thing is that bank runs have little to do with the respondent, Chief Justice Corona. But it certainly has everything to do with us. The concept of collateral damage is then brought into discussion. The truth is this; this trial progresses in such a way that our very economy and morale is increasingly being threatened. Hyperbole much? I donâ€™t think so. During former President Joseph â€œErapâ€ Ejercito Estradaâ€™s impeachment trial, the Equitable Bank Group disclosed his bank records to the court, even in the absence of a subpoena. Erap subsequently sued the group for unjustly disclosing his records. But going beyond this conflict between two influential figures, something more sinister took place. People who held accounts in the Equitable Bank Group withdrew their money post-haste, in fear of having their records publicly disclosed as well within a momentâ€™s notice, to the caprice of the officials of the said group. Was this paranoia, an irrational fear for your finances? By no means, for it was a rational defense mechanism from the clients. People simply wanted to protect their privacy, of which bank accounts comprise a significant percentage. People ran off because the institution they trusted with their financial privacy broke that trust. After all, can you still trust someone with your secrets when he can just blurt it out when he feels like doing it? â€˜Sec. 8. Secrecy of Foreign Currency Deposits. All foreign currency deposits authorized under this Act, as amended by Presidential Decree No. 1035, as well as foreign currency deposits authorized under Presidential Decree No. 1034, are hereby declared as and considered of an absolutely confidential nature and, except upon the written permission of the depositors, in no instance shall such foreign currency deposits be examined, inquired or looked into by any person, government official, bureau or office whether judicial or administrative or private: Provided, however, that said foreign currency deposits shall be exempt from attachment, garnishment, or any other order or process of any court, legislative body, government agency or any administrative body whatsoever. Basically, we trust banks with our money because they were created for the purpose of gaining our trust, guaranteed by our government and Constitution. Just imagine how people learn to trust each other despite their not knowing each other through the banks and the law, and how that trust can be easily broken by betraying their privacy to the publicâ€™s judging eyes. The moral implications of violating bank secrecy laws are quite astounding. But whatâ€™s more astounding is that the prosecution is ignorant, or chooses to ignore such implications in our society. Now, from a cynical perspective, one can begin questioning my argument like this; okay, so the morale is compromised for the sake of the prosecutionâ€™s attempts to convict the respondent. So what about morale? Itâ€™s not as if the economy itself will be compromised, right? But then that man would be wrong. As I have stated earlier in this article, this trial threatens not only the peopleâ€™s morale, but the nationâ€™s economy as well. This statement is somewhat a no-brainer, given the fact that much of a countryâ€™s economy hinges heavily on banks who administer monetary activity. After all, the Great Depression was triggered by bank runs. This calls for a little historical trivia. Contrary to popular belief, the Great Depression was actually caused by the passivity and indecisiveness of the Federal Reserve Bank during a minor economic setback caused by a small stock market crash. According to the research of Milton Friedman and Anna Schwartz, the crash, which was triggered by speculative investment (which, according to them, might have been instigated by prior Fed policies), prompted banks to ask for financial assistance from the Fed to withstand the blow of the crash, which is bound to diminish in a short period of time. However, the Fed did not fulfil its duty of being the lender of last resort, and the banks, deprived of cover from the impact of the crash, was in deep trouble. Panicking, account holders quickly withdrew their money in fear of losing them, hoarded them and attempted to wait the recession out. The money supply shrank considerably, the banks dropped dead one by one, and with people preferring to save rather than spend, there was dismal economic activity, the little recession mutated into the Great Depression. While the Great Depression shows the danger of the governmentâ€™s negligence of duty, it also emphasized the sheer might of bank runs in destroying an economy. When people take out their money from the banks, the whole economy suffers gravely. Bank runs shrink the money supply, which means banks have less money to lend to people and corporations, reducing economic activity. Less people will also buy and sell stuff, since people would rather keep their money than risk losing them, which can aggravate unemployment. Investors will have less capital to speculate on, rendering the economy stagnant. The spiral of economic woes goes on and on, getting worse and worse with each cycle. And for such a well-known bank as PS Bank, its loss of usable money may lead us to a roller-coaster of unintended, and harmful, consequences. Bank runs are by no means a red herring in this issue. For a President whose alleged intention is to improve the economy through the impeachment of a supposedly corrupt Chief Justice, a compromised economy as the collateral damage of a guilty verdict is hardly my idea of a job well done. Faced with the fact that the impeachment trial has evolved into a double-edged sword, threatening to wound our economy to satisfy our governmentâ€™s vendetta against the previous administration, are you willing to stand by the prosecution to the bitter end? Can you risk the livelihood of our fellowmen and uphold PNoyâ€™s judgment? Are you willing to lose a hundred red lobsters for the sake of that rare blue one? Next Article So is Raissa Robles the ‘small lady’? nice article…yah! are you willing to burn your house for that one rat you consistently failed to trap? Unfortunately he treats the entire affair like some kind of game. After all what kind of mentality can one expect from a guy with this kind of mentality? negative mentality of course. He certainly has no foresight. Not a good leader, and he is bankrupt of ability to balance everything. well i dunno about you guys, but i’d like to have his state of mind medically examined. i mean, do you notice how he salivates a lot when under stress? if my memory serves me right, that’s some indication of a mental illness. Hope this is not too late, but thank you, karim! Indeed, this impeachment trial is not a game. A President must exercise sound judgment in weighing the costs and benefits of his actions. Unfortunately, PNoy is no closer to showing any signs of critical thinking. The phrase above echoes exactly what my sentiments are about what Aquino is doing with this trial. I also think that Aquino does not realize that whatever the outcome of this trial is, it’s a pyrrhic victory. I was going to say that I wish he could get his head out of the gutter soon, but that’s wishful thinking more than anything.